Medic by day, photographer by night. Not only does Ian Beattie look after the well-being of fellow employees at Ramelius Resources' Mt Magnet Gold Mine and the local community, he captures its history after dark. Ian, what is special about Mount Magnet? We’re surrounded by some amazing country, though you don’t often get the chance to get out due to work but when the weathers nice and the flies aren’t in plague proportions, there’s nothing nicer than roaming through the old diggings. The old diggings have a story and while photographing them I find myself imagining what that story might be. I’d like to think that when people view my photos they get drawn in and start to wonder as well. It’s also nice to know that in a small way I’m recording history before it’s lost. Even in the short time I’ve been out here many of the shacks and workings that I have photographed have gone. Tell me about these old mine shafts, how many are in the area? 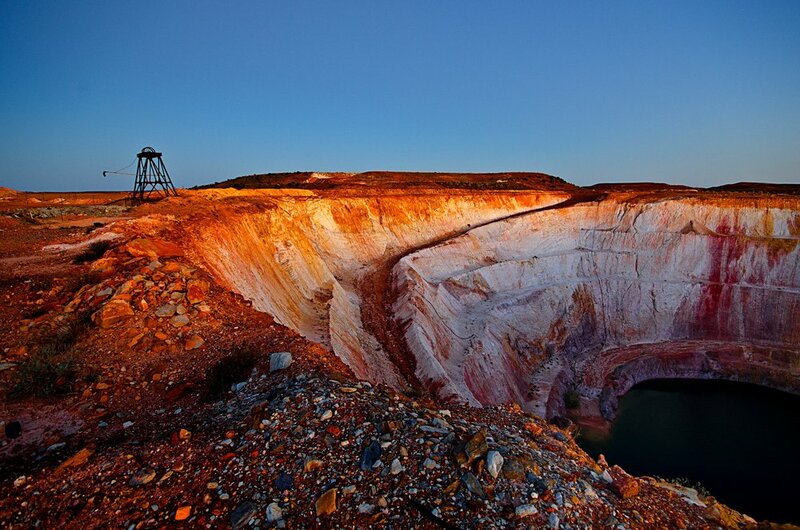 An estimated 3000 mine shafts dot the Mount Magnet area. Some not much more than shallow scrapes in the ground, while others form a labyrinth of tunnels and shafts running hundreds of metres into the earth. Many of the older shafts were dug by hand and shorn up by whatever local timber they could gather, others were chipped and blasted out of solid rock. 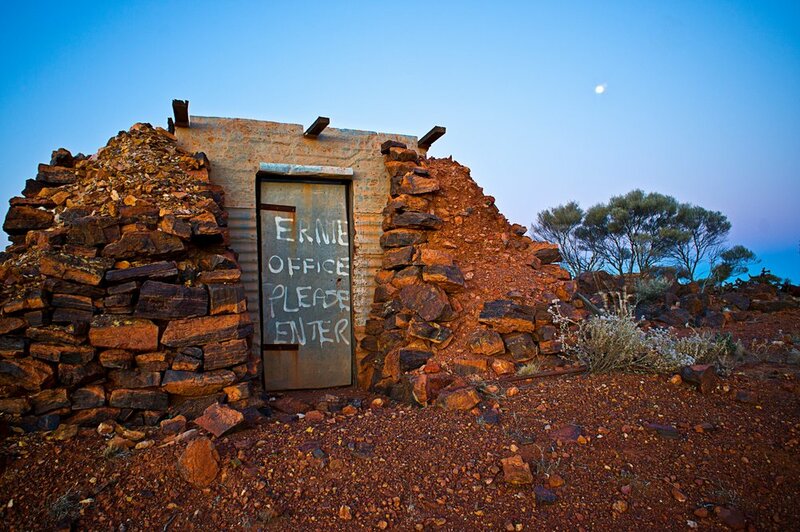 How old are these abandoned miners shacks? The abandoned shacks are a legacy of the scores of miners who have come to the area since gold was first discovered in the area in the 1890’s, seeking to make their fortune. Most have been lost but a few remain as testament to fortitude of the earlier miners. Rudimentary in nature they would have offered little respite from the summer heat, the cold winter rains or the ever-present flies and other insects. Broken furniture, rust buckets, old enamel dinner plates caked in years of dust provide glimpses into the past while still jealously guarding their secrets. What story do they tell? Is it one of fortunes made or of shattered dreams? I’d like to think they rode away triumphantly loaded down with new found wealth but the reality is probably quite different. It's great to see this headframe and winder still exists, can visitors see them? The Hill 50 gold mine near Mt Magnet commenced in the early 1900’s and continued until it’s closure in 1976. During the late 1950’s it was Australia’s most profitable mine. 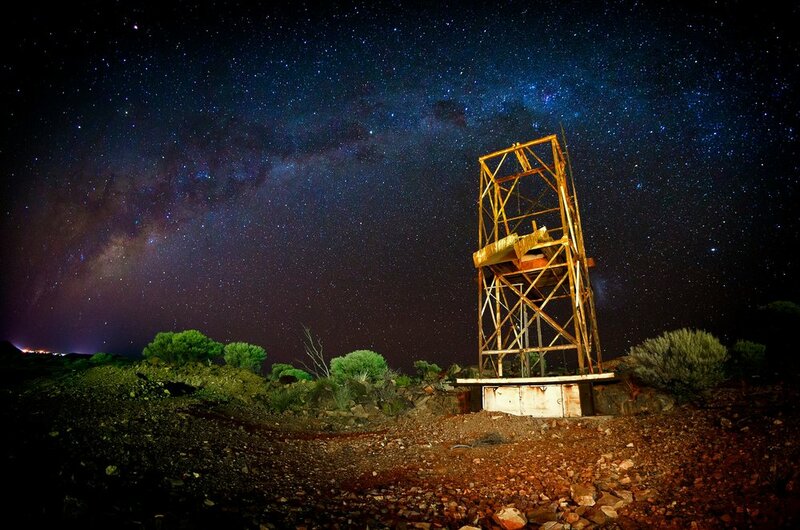 The headframe has since been demolished to allow for continued mining and the winder has been relocated to the Mount Magnet Mining museum. 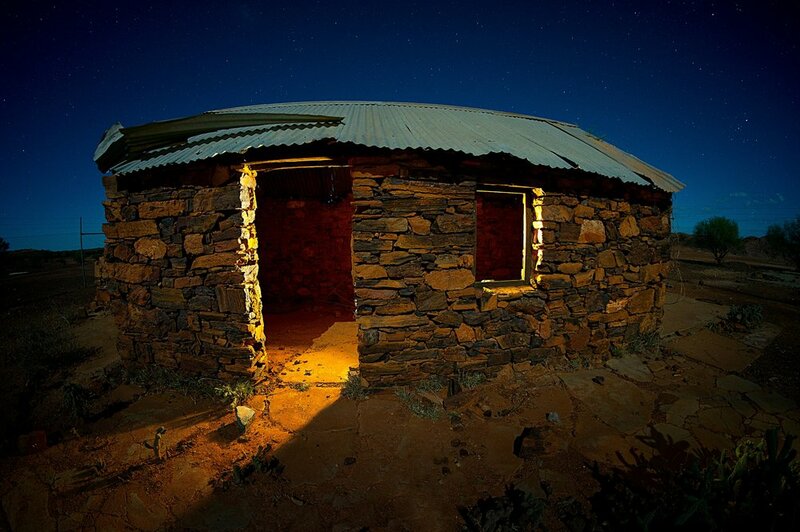 Western Australia's outback at night is pretty spectacular, it seems this is when you do some of your best work. Nights would have to be my favourite time out here. You don’t have to go too far from the camp to find yourself in quiet solitude, surrounded by history and blanketed by the most amazing night sky. It’s a stress-free zone and for me there’s no better way to unwind after work. With little light pollution and wide uninterrupted vistas the night sky above the gold fields provides a stunning backdrop to the old mine workings. So many mining relics and so many stories. 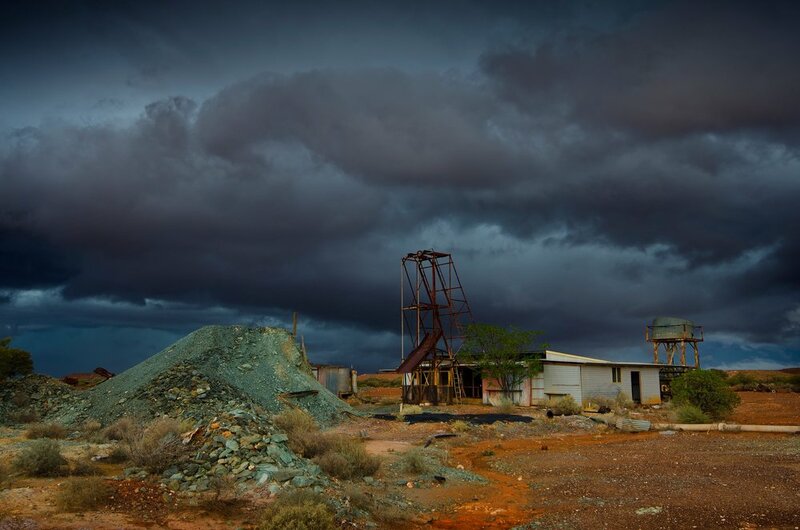 Your photographs really capture the long history of gold in Mount Magnet. 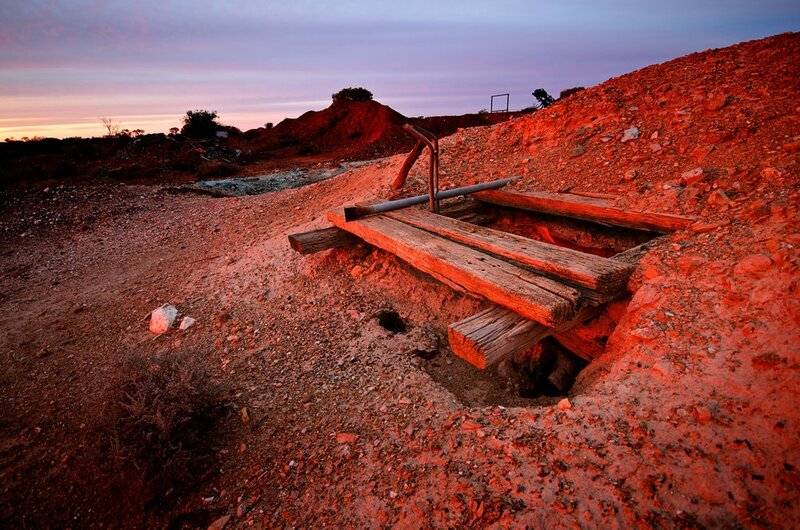 Relics of the mining industry litter the landscape around Mount Magnet. Rusty headframes, disused shafts, abandoned shacks and discarded equipment form a poignant reminder the areas more than 120 years of mining history. Ian, what do you think will happen to the Corona mine? Typical of many mines in the district, the Corona mine has undergone many transformations and changes of ownership since it first started operation back in the early 1900s. Corona has experienced periods of boom and bust, weathered the Great Depression and survived world wars. As economic circumstances change and technologies improves, one can only wonder what the future will hold for it. Fast forward a century and Ramelius Resources' Checkers Mill shows how much mining has changed. The face of modern gold processing, Checkers Mill, sits in stark contrast to the old mine workings that surround it. As processing and mining techniques continue to improve ore deposits that were once unworkable or uneconomical can now be developed. You can see more of Ian Beattie's work on Facebook.